I love to mix things up, and my yoga classes are creative and varied, with a seriously playful and mindful blend of moving and stillness with a focus on skillful and safe alignment. In my yoga classes I like to offer a variety of options so students of all levels, can explore and play with their edge and find their own yoga. I have been influenced by many different styles of yoga so my approach and teaching style is unique. I tend to attract students who are keen to learn, deepen their practice and understanding of yoga (both physically and spiritually) and transform their awareness. Most of the year, when not on a yoga retreat, you can find me teaching regular yoga classes at triyoga and other London studios, as well as South Bucks and Berks where I live with my family. "My aim is to help my students to get into ‘the zone’ - to find the balance between effort and relaxation, doing and not doing, strength and flexibility and to awaken the subtle energy body and reconnect to their centre". If you, or a small group of friends, would like a yoga class in the comfort of your own home and work in a more individual tailored and specific way – get in touch! “Thank you so much for all your guidance and for sharing with us so much of your energy and knowledge. You truly inspire me as a student, yoga teacher and human being!!! Feeling so blessed for being able to practice with you”. 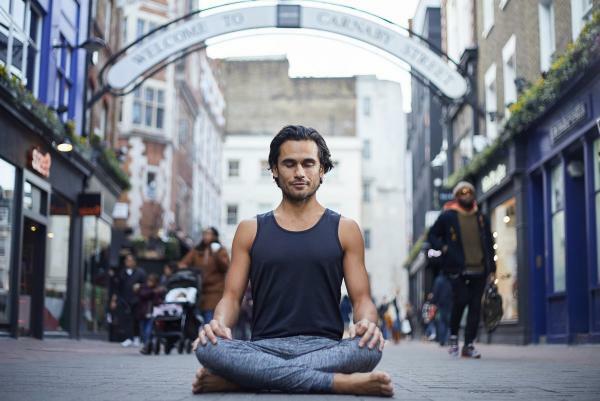 I have been taught by Jeff regularly for some time now and having experienced many different yoga teachers and styles I can honestly say that he is one of the best that I have come across in nearly 20 years of yoga practice. Every yoga class is different and yet they each seem to tap into exactly how I am feeling and provide me with what I am needing from my practice on any given day. Jeff''s teaching is intuitive, warm, friendly, supportive and most of all inspiring.